for $264,900 with 3 bedrooms and 2 full baths, 1 half bath. This 1,544 square foot home was built in 2006 on a lot size of 0.140 Acre(s). Lovely 3 bedroom, 2.5 bath home in Biltmore Terrace. Open, bright main floor features a living room with a fireplace, dining area, kitchen with bar, and 1/2 bath. The upper level has a spacious master bedroom with a vaulted ceiling, a 2nd bedroom, walk-in closets, and a huge bathroom. The lower level has a large bedroom and bath and is ideal for guest suite, rec room, or home office. Covered front porch, side deck, very low maintenance yard. 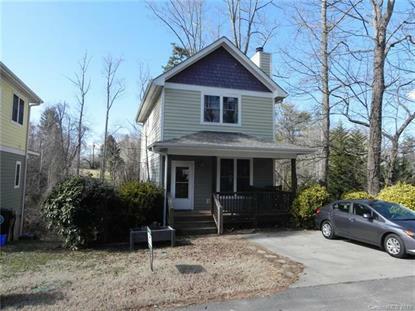 This home is in fantastic condition and is minutes from Biltmore Village and Downtown Asheville.